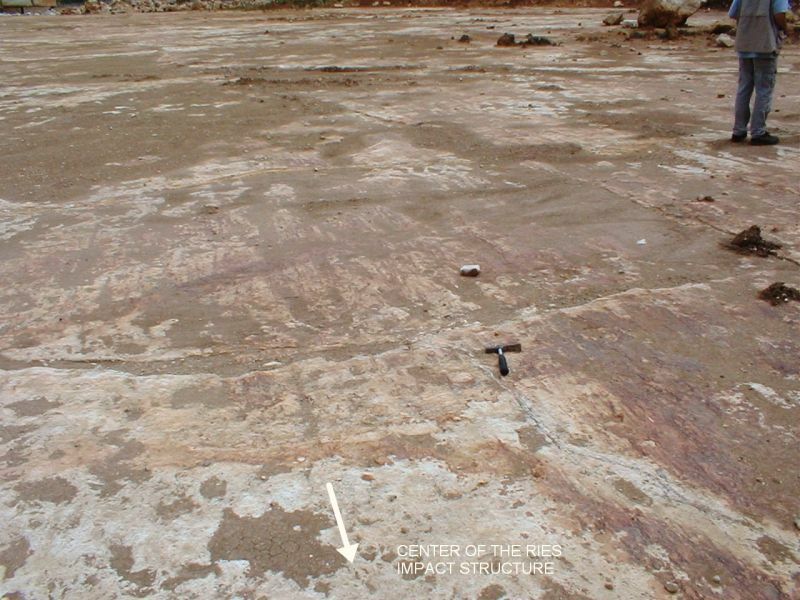 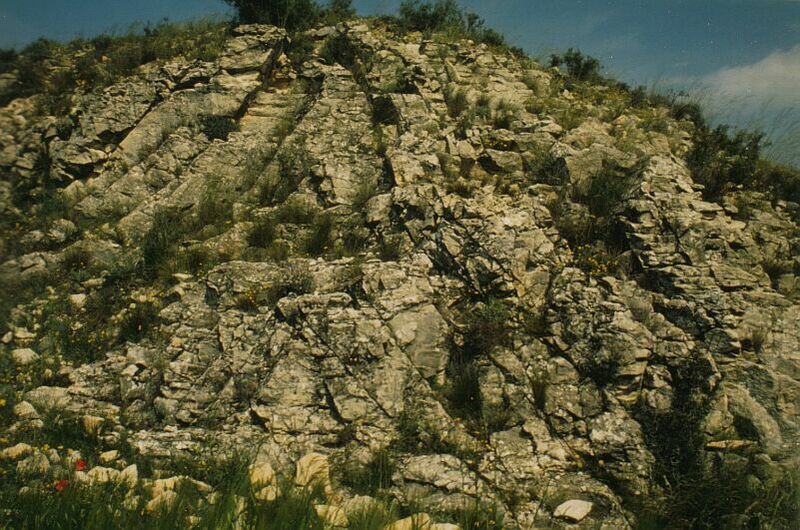 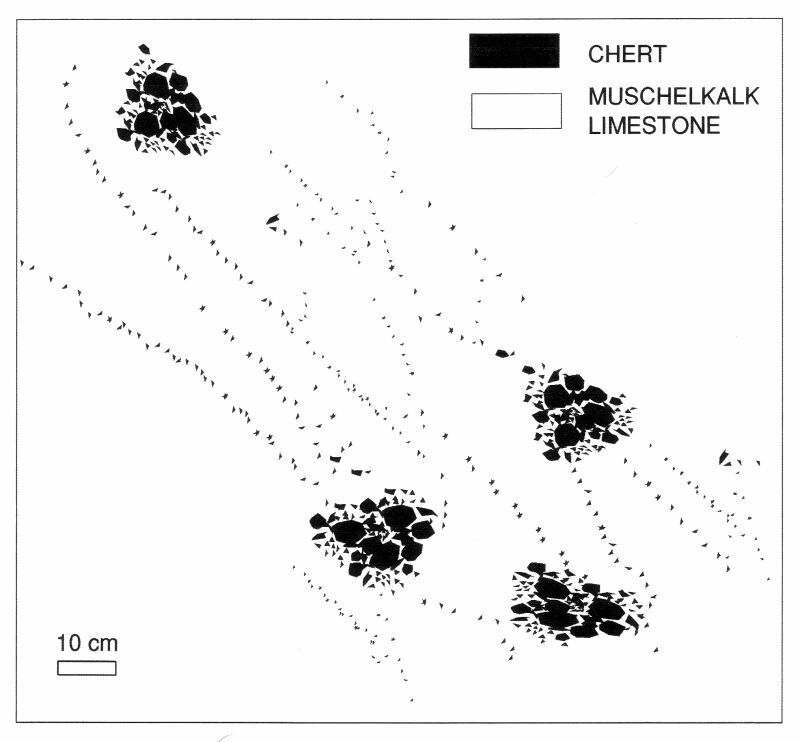 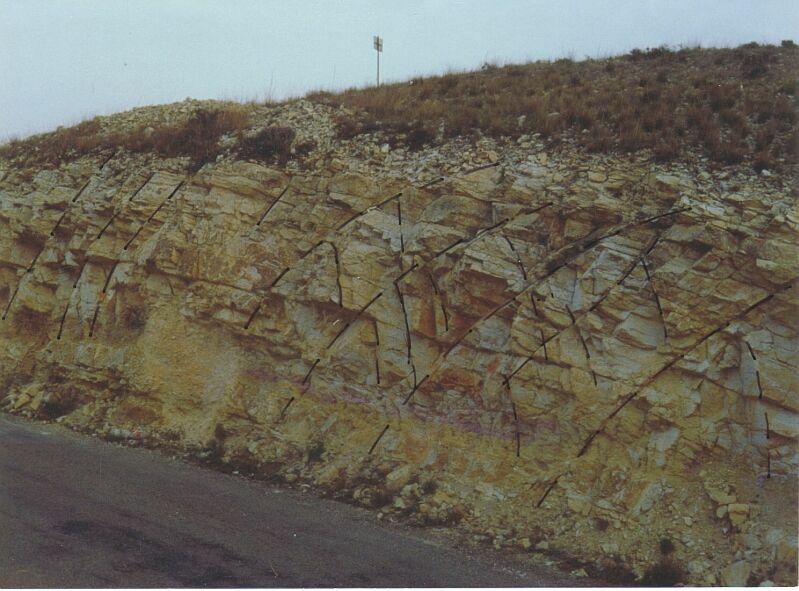 Impact cratering is the only reasonable process to have produced this impressive geologic scenario, and the same deformations are well known to occur in large allochthonous limestone megablocks ejected from the 25km-diameter Ries impact structure (Germany) (Images H, J; Iggenhausen quarry).We suggest that those geologists from the Zaragoza university and the Center of Astrobiology (Madrid) vehemently refusing an Azuara impact visit these highlighting outcrops. 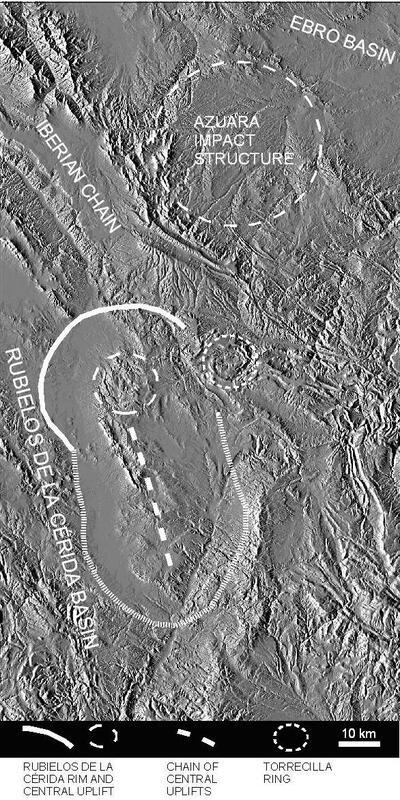 Since they like to contrast the Azuara structure with the Ries crater (see their MAPS paper referred to in the Controversy section), they will get a lot of illustrative material.There is one more point we want to refer to. 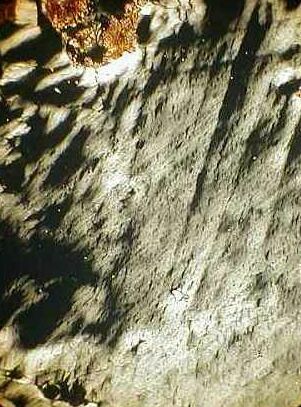 As already said, impact is the only reasonable geologic process that explains these desastrous and voluminous deformations. 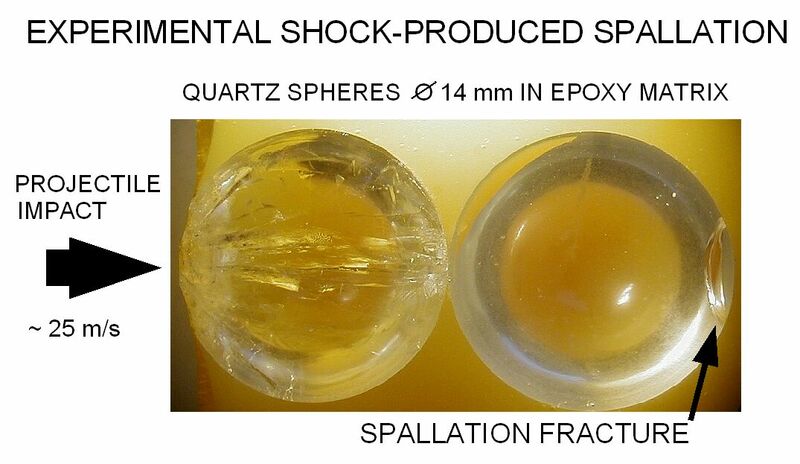 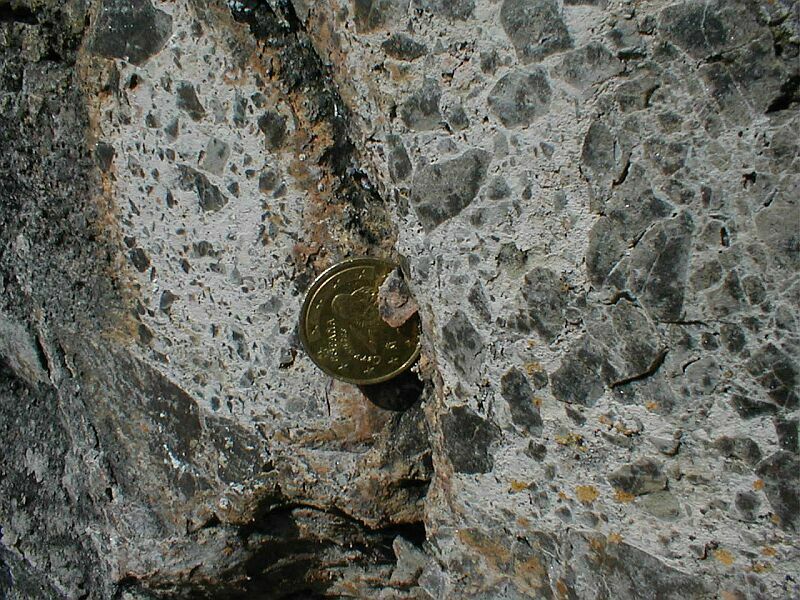 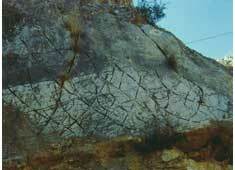 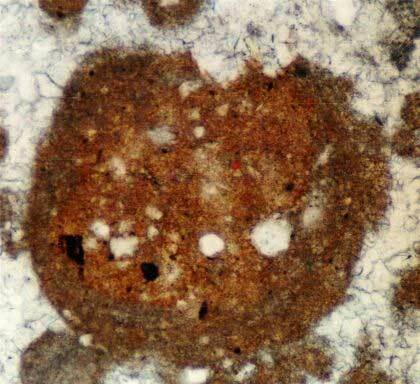 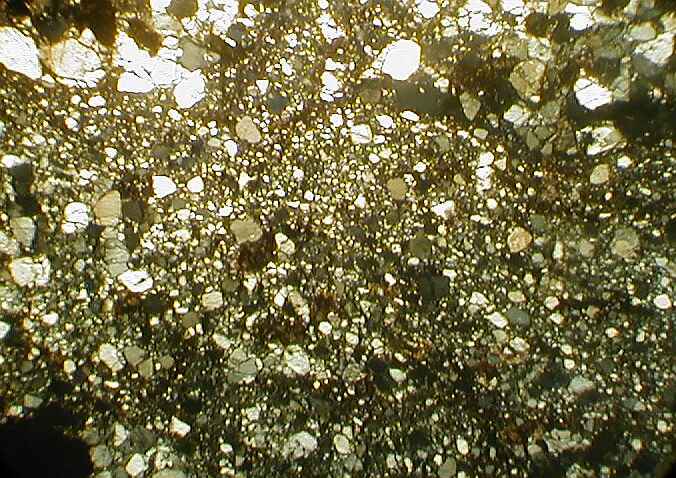 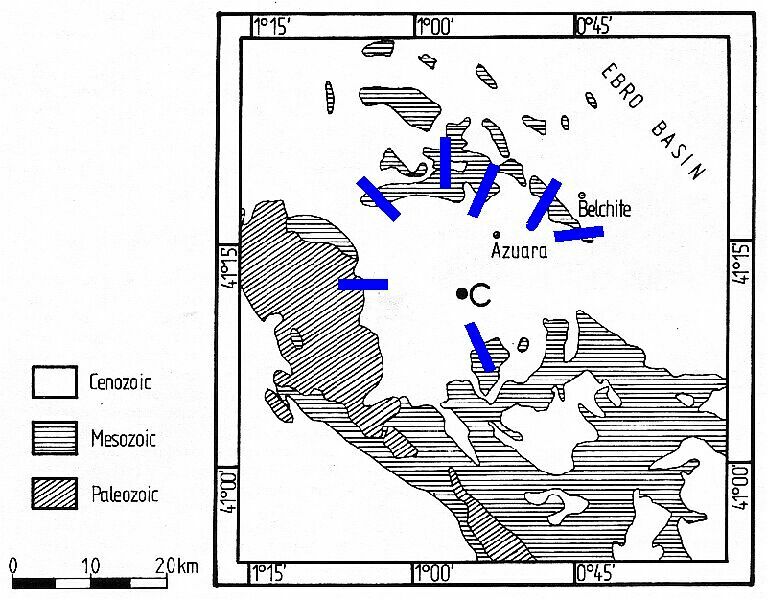 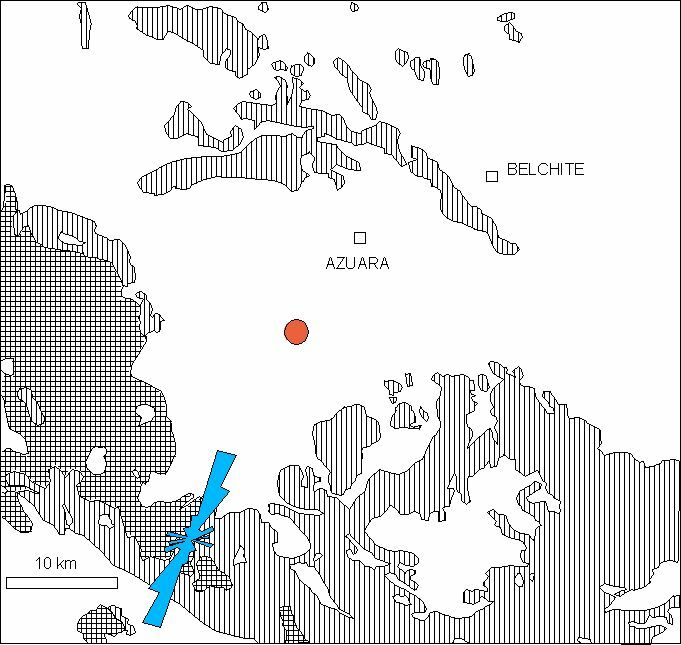 In other words, there’s actually no need for the well documented strong shock effects in Azuara polymictic breccias to establish Azuara as an impact structure (see below in the Archives and http://www.impact-structures.com/impact-spain/the-azuara-impact-structure/shock-effects-shock-metamorphism-in-rocks-from-the-azuara-impact-structure/ ). 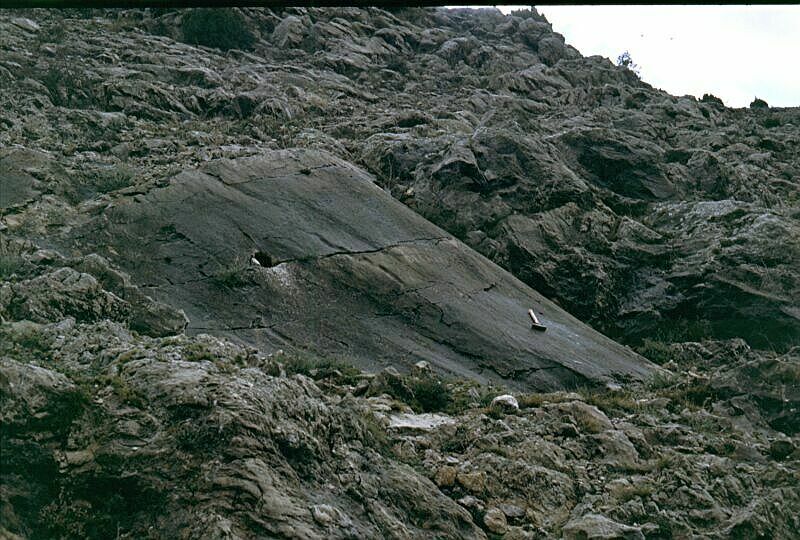 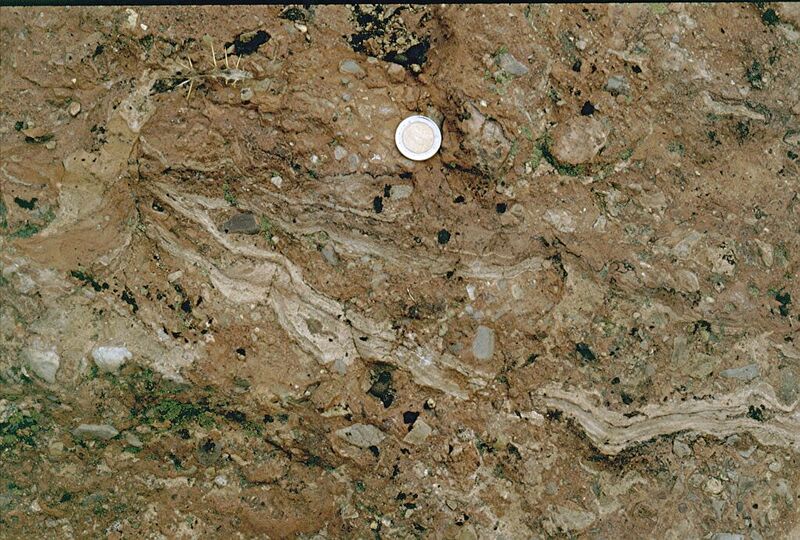 The outcrops under discussion here are as well a convincing proof.Usually, the impact nature of a structure under discussion is established by the occurrence of shock metamorphism. 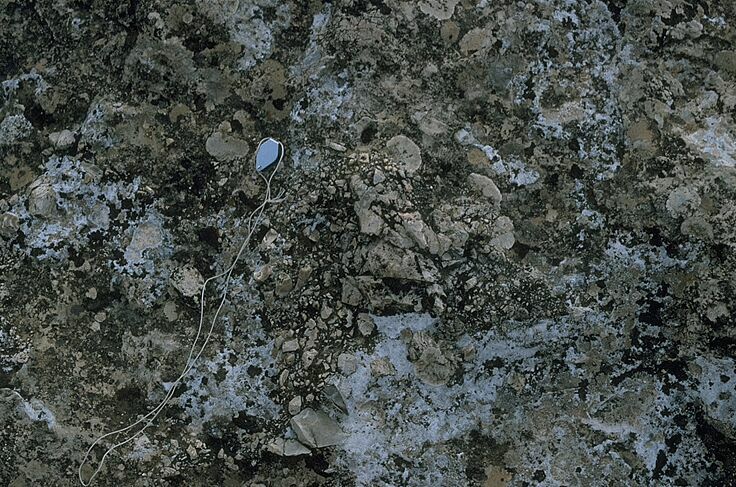 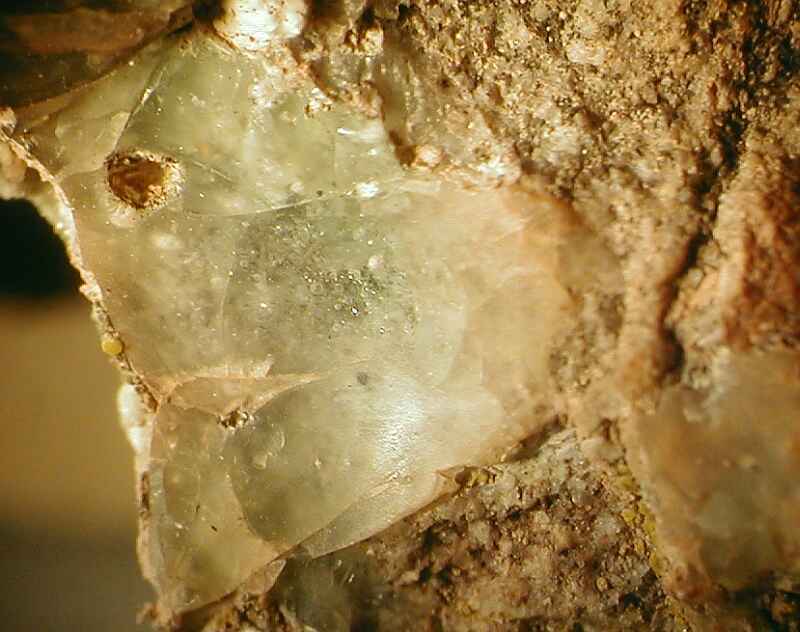 Reasonably, it is argued that there are no endogenetic processes known to produce, e.g., diaplectic glass or planar deformation features (PDFs) in quartz. 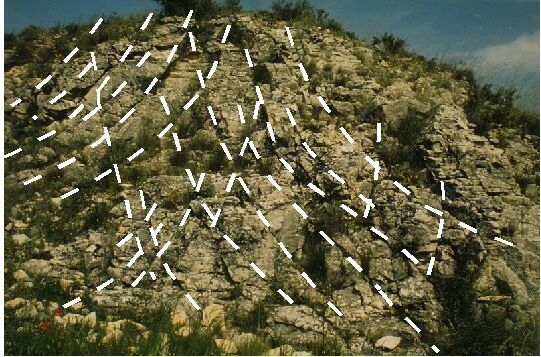 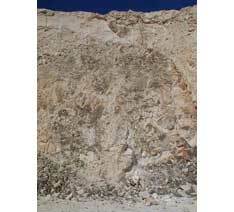 Likewise, we argue that there are no endogenetic geologic processes known to have catastrophically destroyed the Jurassic limestones near Belchite. 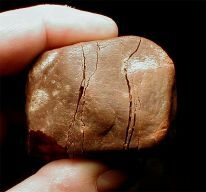 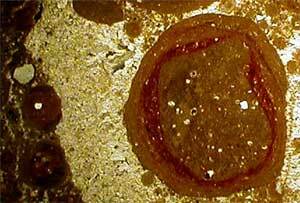 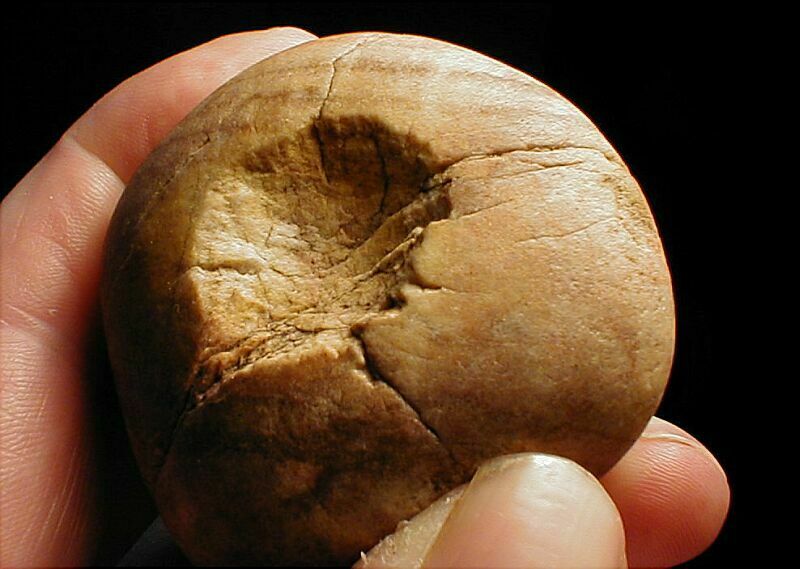 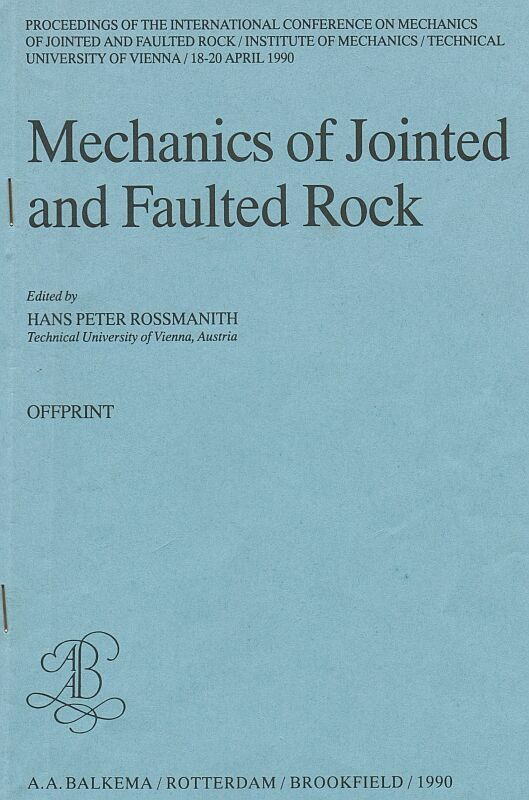 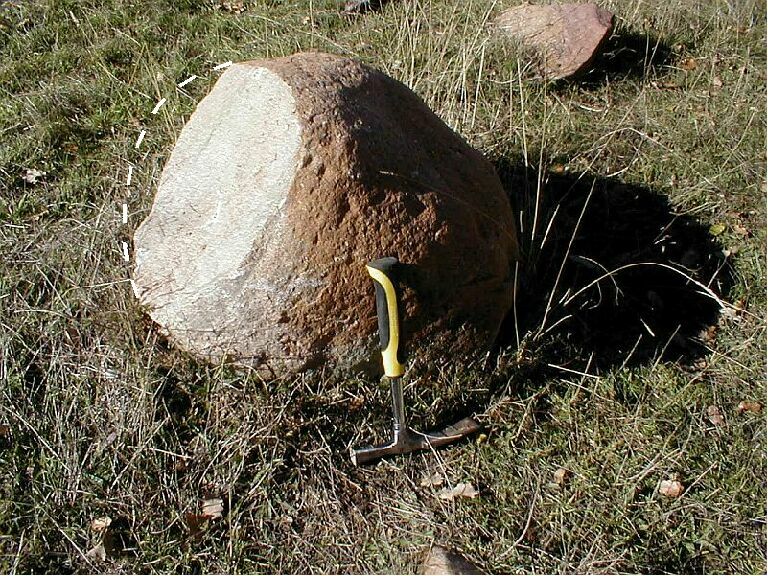 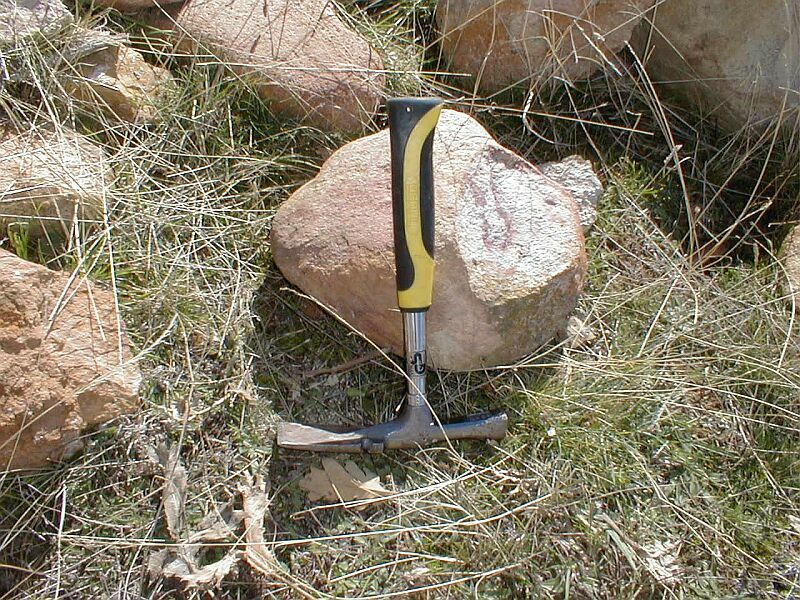 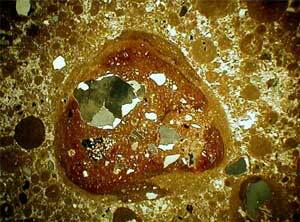 Therefore, geologists should be aware of their competence to establish in some cases an impact structure from pure field evidence. The time has come to give up the very limited point of view of some impact researchers that TEM analyses of PDFs or geochemical signature of the projectile are the ultimate requirement for establishing an impact structure. This peculiar fold is exposed in a region of an extended megabreccia near the village of Barrachina in the Rubielos de la Cérida impact structure. 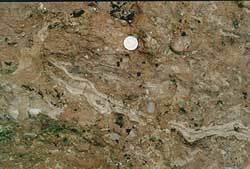 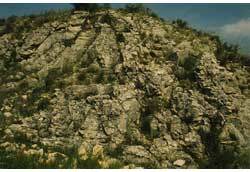 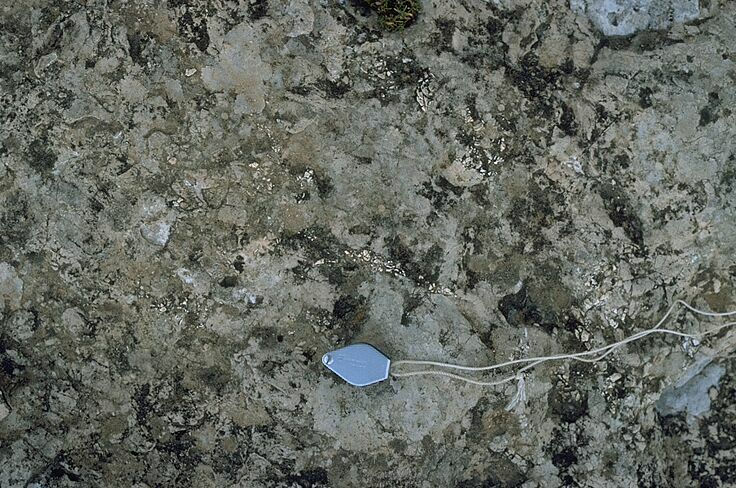 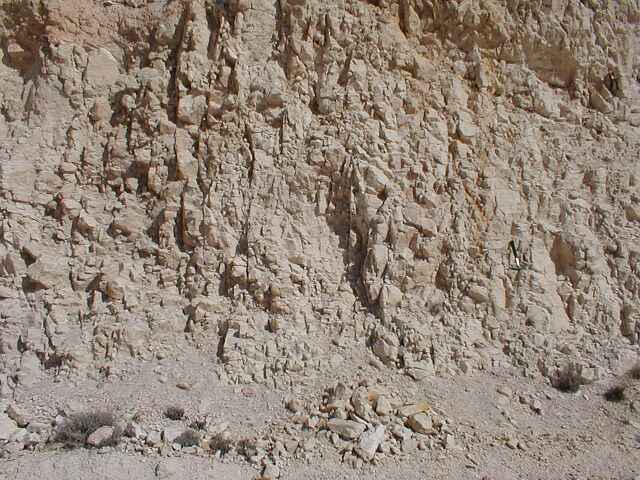 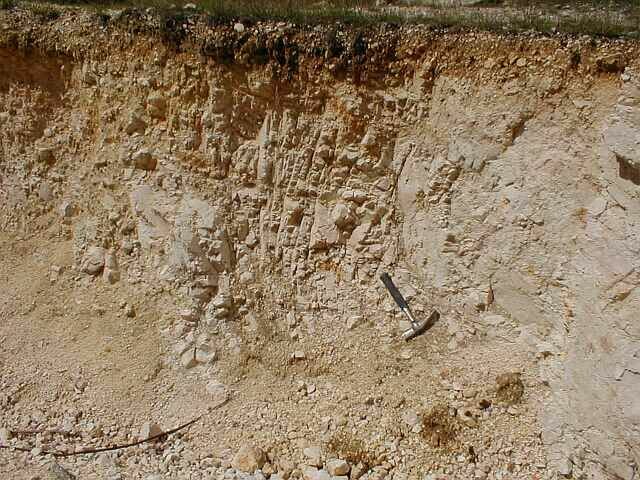 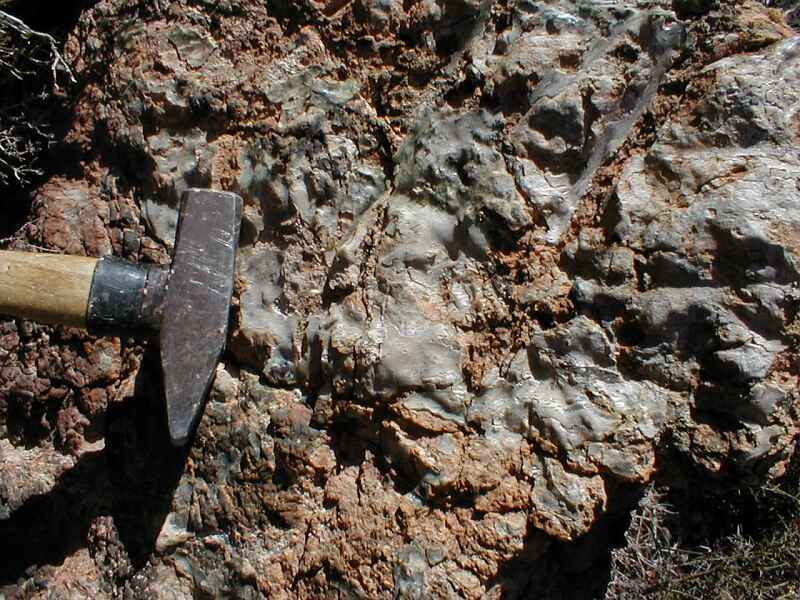 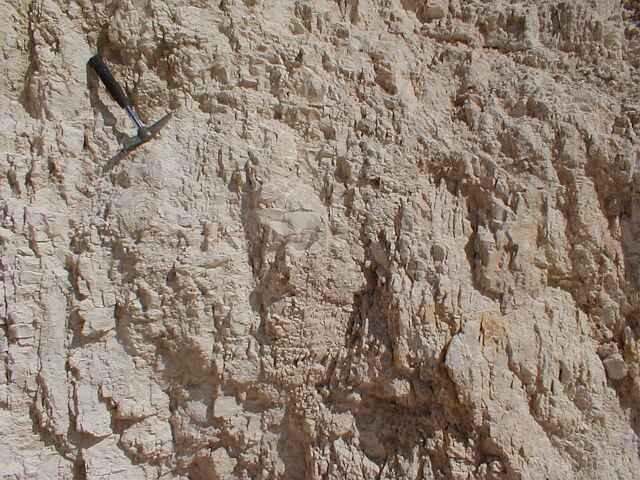 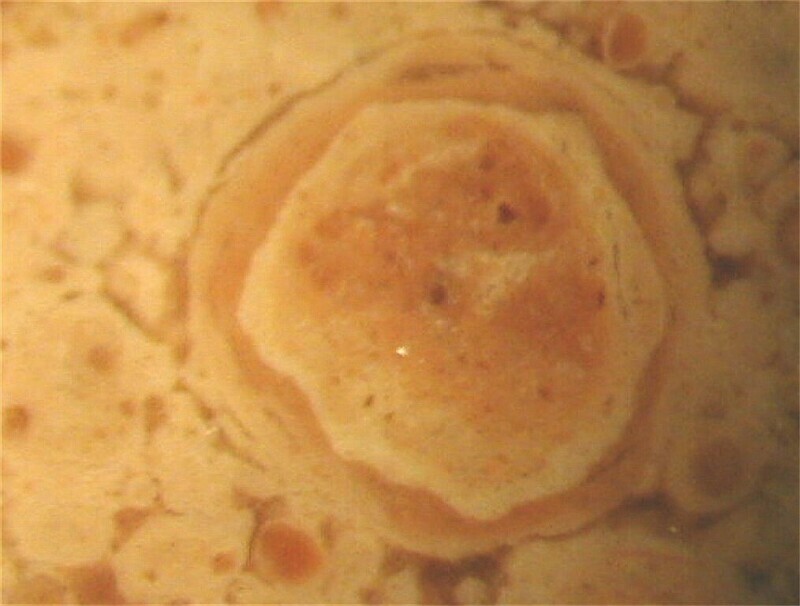 The fold is portrayed by a competent, however heavily brecciated Lower Tertiary limestone layer. 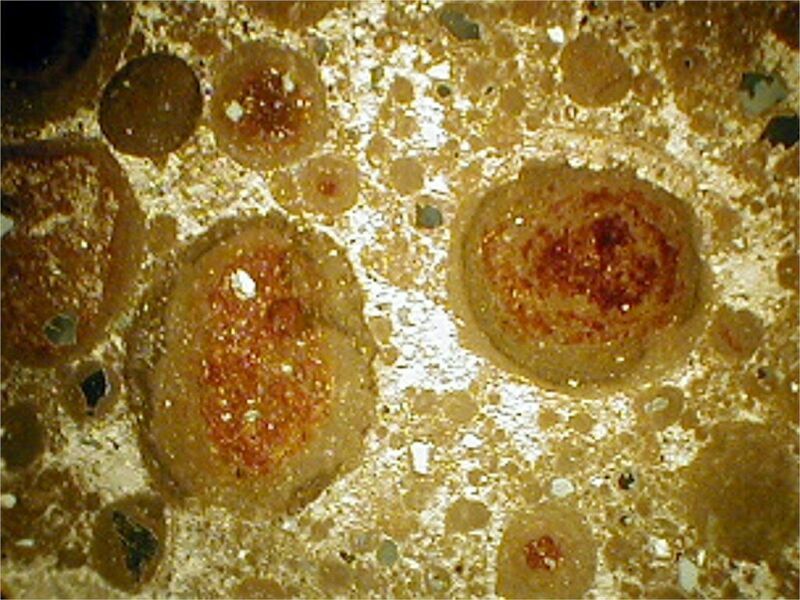 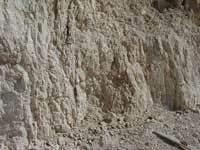 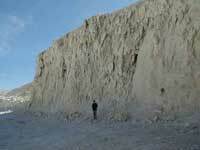 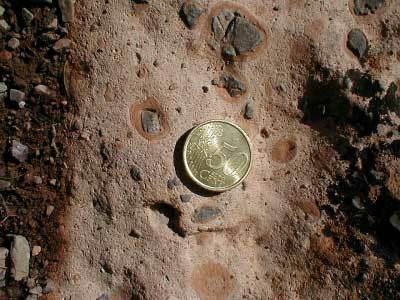 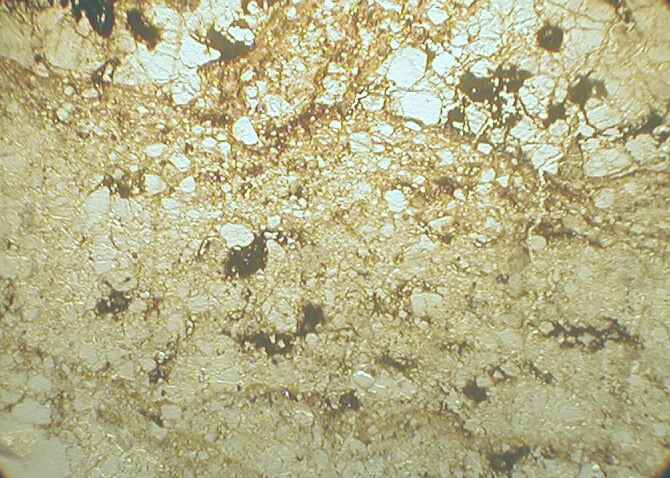 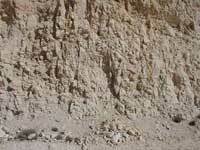 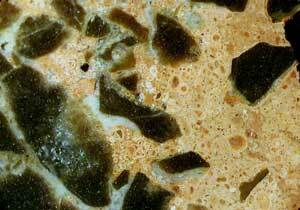 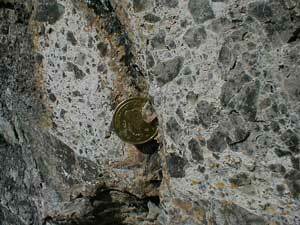 The core of the fold is a pulp of nearly pulverized carbonate rock without any regular internal structure. 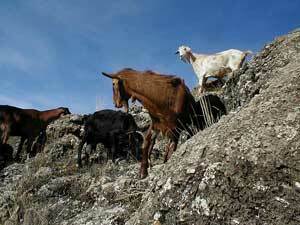 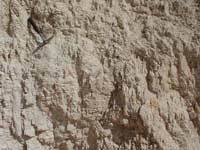 Only a few limestone fragments are preserved. 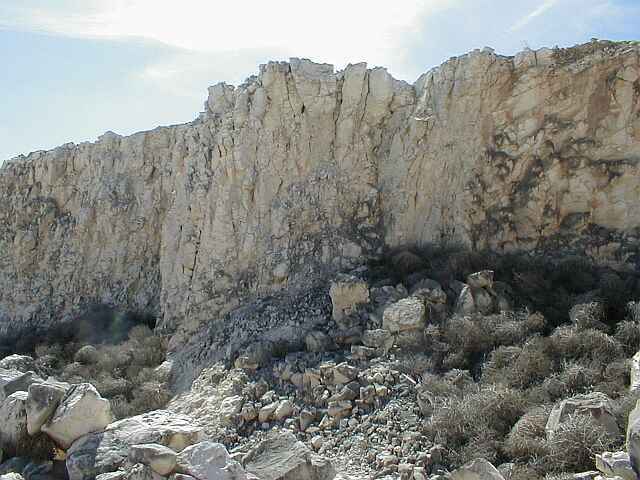 where giant rock masses moved in the excavation and modification stage of impact cratering to form the now exposed megabreccia. 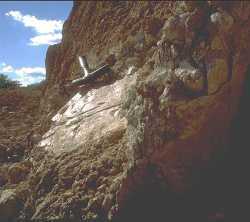 The fold is interpreted to be the result of a high-pressure injection of extremely brecciated material from below. 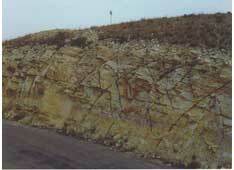 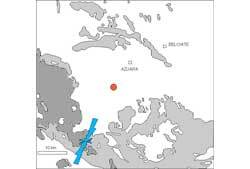 A tectonic origin of this peculiar structure is hardly to understand. 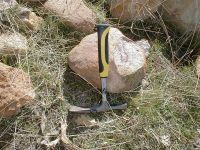 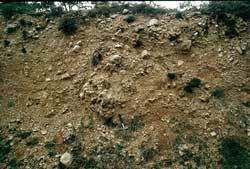 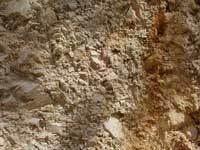 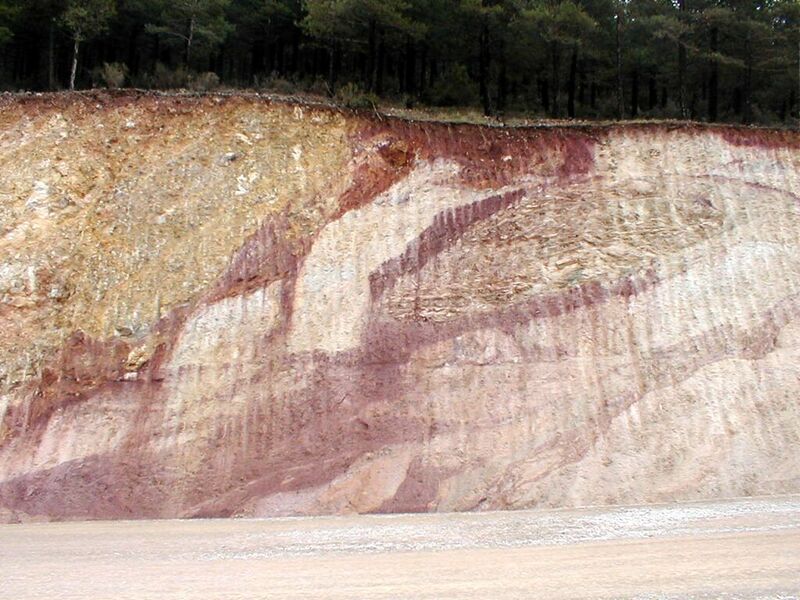 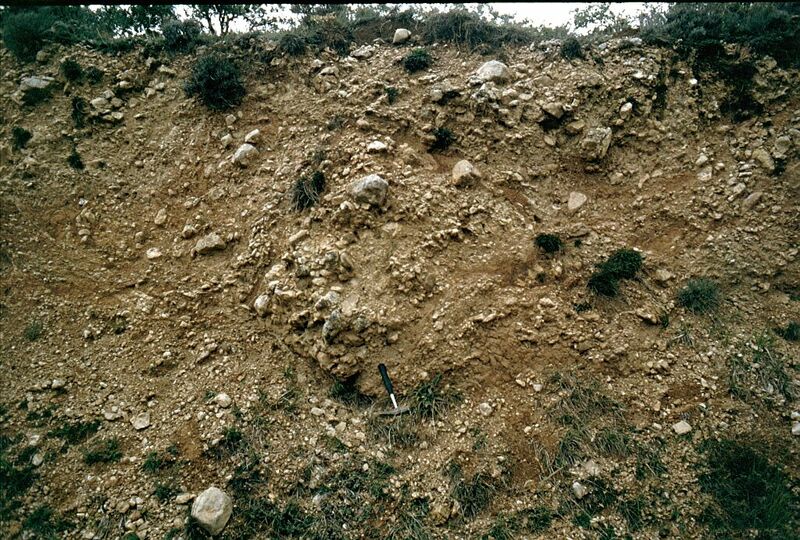 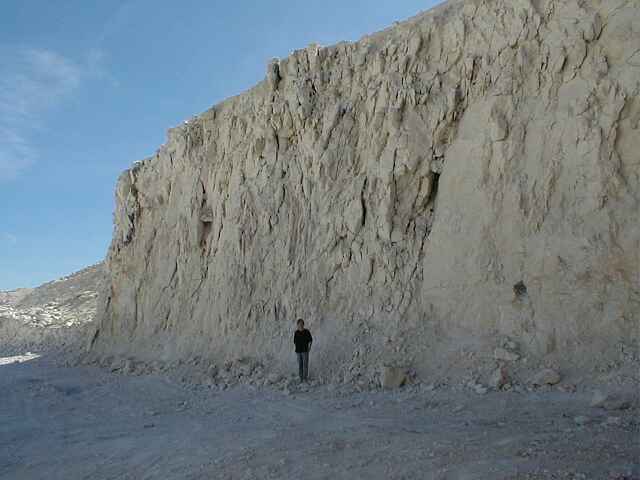 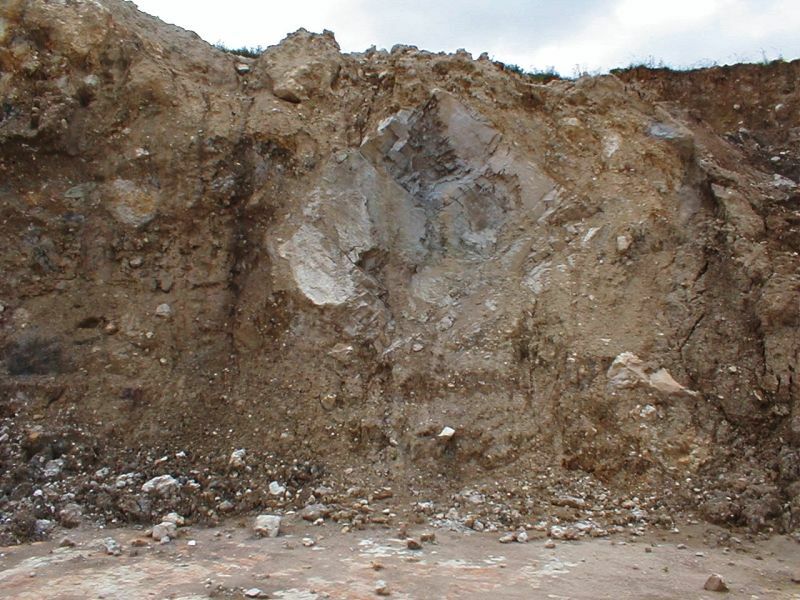 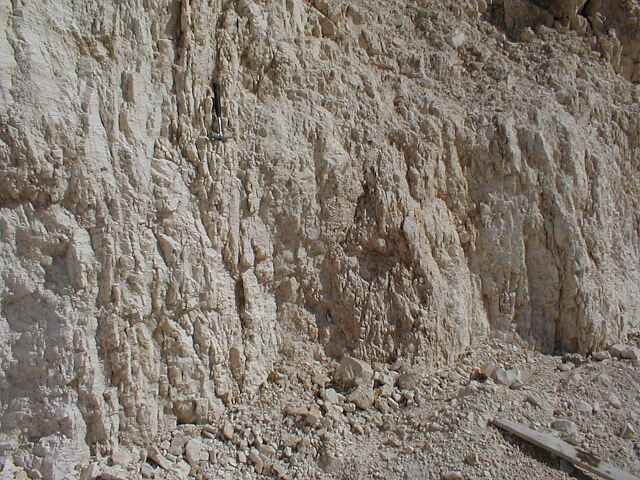 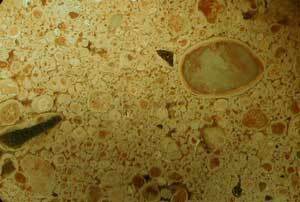 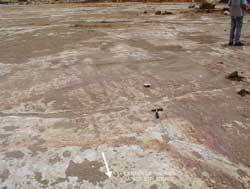 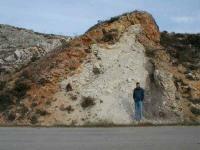 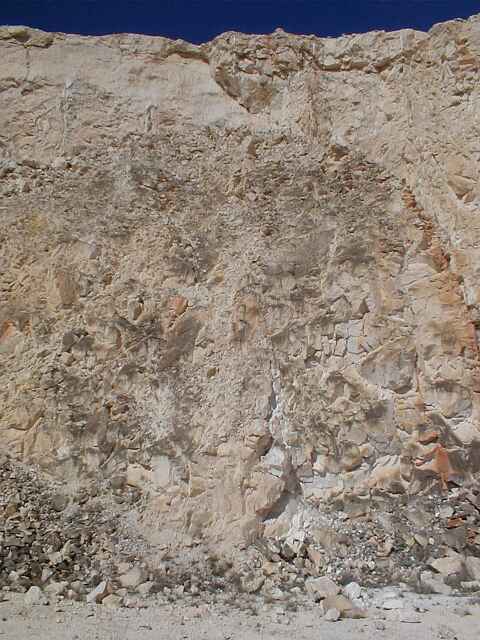 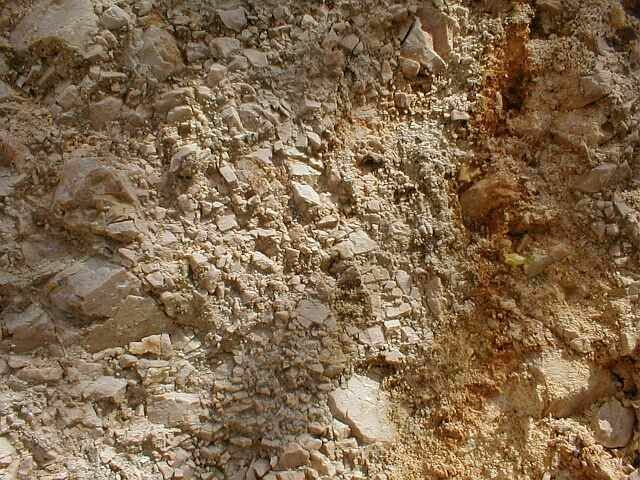 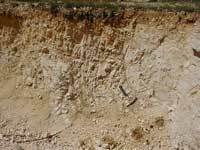 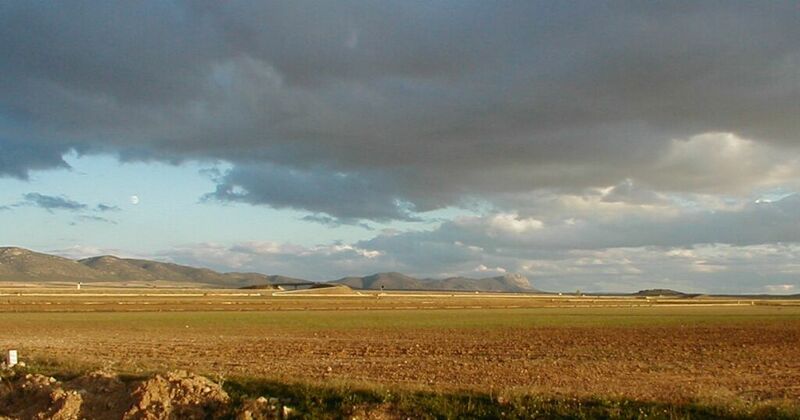 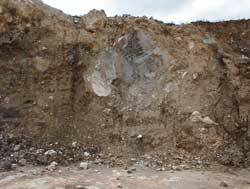 Local geologists (from the Zaragoza university and the Center of Astrobiology, Madrid) suggest collapse by dissolution of gypsum to have produced the megabrecciation – need we comment?